At Odds On Promotions, we give you the ability to up the ante during your next game, contest, or promotion. For a small fee, you can offer fabulous prizes worth millions of dollars and if you have a winner, we pay for the prize. Use one of our hundreds of proven promotions or create one of your own. We can provide prize insurance for ANYTHING! 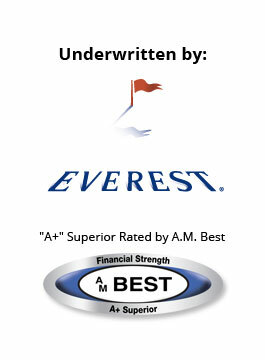 And, our "A+" Rated underwriting gives you peace of mind when someone wins, and it's time for us to write the check. We are proud to have the prize indemnification insurance portion of our business underwritten by Everest National Insurance Company, which is part of Everest Re Group, Ltd. Insurance Group, one of the top 10 insurers/reinsurers worldwide. Odds On Promotions' contest prize insurance allows sponsors, retailers, sports teams, you name it, to offer large insured prizes for a small, budgetable fee during any event as an enticement to participate, a publicity boost, a traffic driver, or fundraiser. Events such as sports halftime contests, holiday retail promotions, car dealer direct mail campaigns, weekly casino promotions, and non-profit fundraising events can all benefit by adding grand prize insurance to the mix. We've awarded more than $45,000,000 in cash and prizes since 1991! Give us a call when planning your next marketing campaign or event and maybe you can be the next prize insurance beneficiary! Watch a two-minute video about how it works!